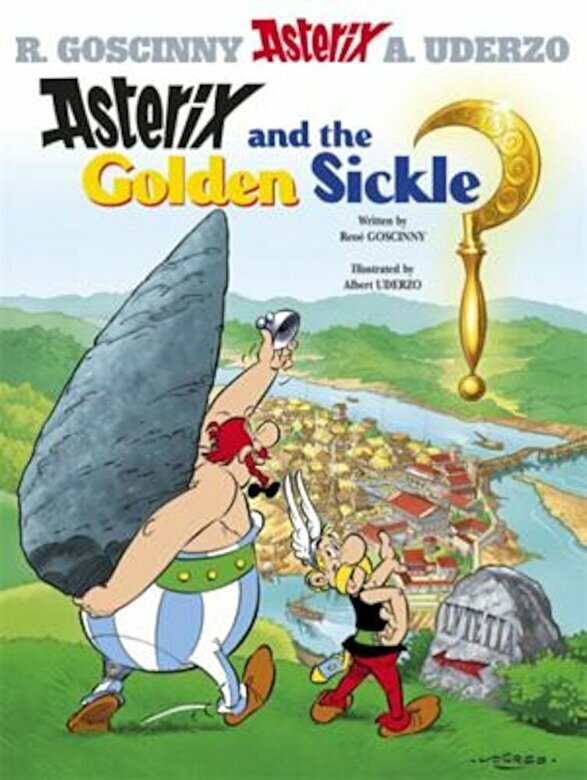 Prezentare It's a disaster - the druid Getafix has broken his golden sickle. Asterix and Obelix go to Lutetia (now Paris) to buy him a new one. Soon they are tangling with the criminal underworld of the big city - can they outwit Navishtrix, Clovogarlix and the sickle-trafficking gang? Will Getafix ever be able to brew magic potion again?